Thousand Oaks, California, may not have the nation’s largest drug problem, or even the state’s; however, ignoring the issues that do exist poses a grave threat all its own. The city has its share of drug-related arrests yearly. Pot and alcohol are frequently abused, while prescription opiates (painkillers) continues an upward climb in terms of treatment center admissions. Heroin and meth use in Thousand Oaks have declined since their height in 2015. The Drug Enforcement Administration (DEA) has a substantial presence in the city, as they do in the rest of the HIDTA state, and they are supportive of all efforts to curb the city’s drug problems. Education is key, and the upscale status of the city adds to the efficacy of this effort. If you live in Thousand Oaks or the surrounding county, and have fallen victim to substance abuse don’t hesitate to seek treatment. There are enormous resources in at your disposal. Treatment center admissions for painkiller abuse will continue to increase, until federal funding reaches a point to where this particular ongoing issue is more effectively contained. For yourself, your friends and/or your family, we advise that you continue to be aware of your community’s substance issues, and suggest that you join in Thousand Oaks’ various educational efforts to curb drug abuse. Regularly check The Recover for updated information. 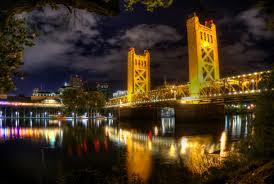 California is the most highly-populated of all U.S. states, with an estimated residency of just under 40 million. Of that number, nearly four million are estimated to be addicted to street or prescription drugs. Among the state’s most used addictive substances, as measured by treatment center admissions (inclusive of hospitals) and arrests, are heroin, prescription painkillers, methamphetamine, marijuana and alcohol. In 2017, fatalities from substance abuse exceeded 15 per day. That statistic is presently considered the #1 cause for premature deaths in the state, surpassing car accidents, firearm accidents, homicides and suicides. Of particular note is 35% of car accidents were said to be drug-related. Further state-wide statistics include the following: Up to 45,000 California emergency room visits each year are due to drug overdoses, or injuries related to abuse. Heroin, once more of an urban drug issue, has expanded to the state’s suburbs. According to the CDC (Centers for Disease Control and Prevention), between 2002 and 2017, heroin use statewide increased 67%. In various cities, heroin usage has decreased from 2015-2017, which some are saying may foreshadow the beginning of a trend. As with so much of the rest of the country, California’s fastest-growing issue is that of prescription opioids, or painkillers. In 2017, deaths from opiate overdoses exceeded 50,000 nationally, with California as among the very top states so effected. Similarly, methamphetamine abuse has reached epidemic proportions, while pot and alcohol use exceeds the national average by nearly 10%. California has been labeled by the DOJ (Department of Justice) as a HIDTA (High Intensity Drug Trafficking Area) stronghold. The major reason is its proximity to Mexico, as Mexican DTOs (Drug Trafficking Organizations) are prevalent throughout the state, which remains their primary source of business. Predictably, considering the state and the myriad of its interconnected freeways, Thousand Oaks, California faces its share of drug issues. Thousand Oaks is the second-largest city in Ventura County, and is located in the northwestern area of Greater Los Angeles, about 35 miles from Downtown, L.A. The city was incorporated in 1964. It is the core of the Conejo Valley and has a total area of 55.33 square miles, of which .15% is water. It’s estimated population is just above 129,000. Ancestry for the city, as based on Census figures, is remarkably diverse: 15.8% German American, 12.9% Mexican American, 11.7% English American, 10.7% Irish American, 7.2% Italian American, 3.4% Russian American, 3.3% Chinese American, 3.2% French American, 3.2% Polish American, 2.7% Scottish American, 2.7% Indian American, 2.2% Norwegian American, 2% Swedish American, 1.5% Dutch American, 1.3% African American, with “Other” listed as 18.9%. 80.3% of its residents are Caucasian. The city is upscale, and its residents highly-educated. Median household income is $121,088, among the wealthiest in the country. The local economy is driven by biotechnology, automative, aerospace, healthcare, financing, telecommunications and electronics industries. Arts and cultural centers are plentiful. According to a 2013 FBI report, Thousand Oaks was one of the safest cities in America. It still is, in many ways. In 2015, violent crime was only 1.05 per 1000 residents, and petty theft was the most reported crime category. However, as its parent state is a HIDTA stronghold, Thousand Oaks’ drug problems are notable, though not as substantial on a percentage basis as many California cities. Still, such issues cannot – and must not – be ignored. Let’s first take a look at some recent (2017-2018) headlines: Three Arrested After DUI Operation in Thousand Oaks; Ventura County Task Force Arrests 30 in Two-Month Heroin Delivery Service Bust; Thousand Oaks Man Arrested in Heroin Overdose; Narcotics Drug Dealer Arrested in Thousand Oaks; East County Heroin Pipeline Plugged; Thousand Oaks Doctor Arrested for Allegedly Selling Prescription Drugs; Thousand Oaks Search Warrant Yields 30 Pounds of Pot, Two Arrests; Two DUI Arrests Made in Thousand Oaks Checkpoints, and Arrest Made in Connection to Overdose Death of Thousand Oaks Teen. The headlines imply some of the city’s ongoing issues. Though heroin has decreased as a cause of treatment center admissions year-to-year since 2015, it remains an ongoing issue. Misuse of prescription opiates mirrors the rest of the country in terms of growth. Pot and alcohol are popular and consistent year-to-year, and in-line with the national average. Meth use is not as large an issue in Thousand Oaks as it is with the rest of the state, but again, it is still a problem. Cocaine abuse has slightly lessened year-to-year statewide from 2015, though such abuse has slightly heightened in Los Angeles proper. In Thousand Oaks, the decrease has been more notable year-to-year. Prescription opiates, pot and alcohol, collectively, are responsible for approximately 70% of the city’s treatment center admissions. Cocaine and meth, and to a considerably lesser extent party drugs such as Ecstasy, round the remaining 30%. Help is but a phone call away, and treatment centers are located throughout the city and surrounding areas. As ever, when you contact a treatment center, please do your research first. The remainder of this article should be able to guide you in some appropriate directions. Maybe you have considered getting help, but you do not believe you have the capacity to do so on your own. If you do not believe you have the strength to find help for yourself, request a trusted family member or friend to aid in your effort. Show them this page, if necessary. Whatever works is really what’s most important. However an addict can get help, whether on their own or with the help of others, that’s what really matters. Getting to pre-intake can sometimes be the toughest aspect of all. You have looked at some potential pre-intake questions, and have finally made the decision to get help. Good job. We commend you.